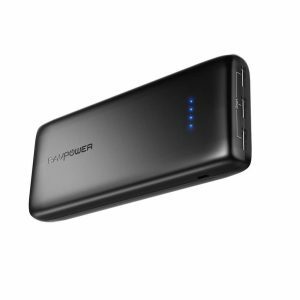 There are so many power banks you can find online but we are here to help you to choose the Best Power Bank Online for mobile as your needs. 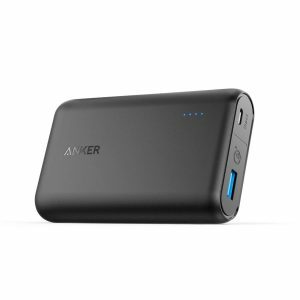 Equipped with advanced technology and two USB ports, the PowerCore 20100 from Anker has a 20100 mAh capacity and provides faster charging. 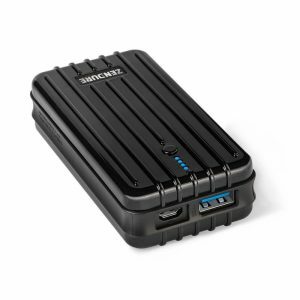 This ultra-compact charger includes "PowerIQ Technology" that ensures high-speed charge for your devices, high-performance cells and complete protection to provide highest possible capacity, safety, efficiency and reliability. You can easily take it anywhere you go, thanks to its compact and portable pocket-size design. Designed to charge multiple devices, the RAVPower power bank has high capacity, solid build quality and huge output. It features three iSmart 2.0 USB ports, allowing you to charge up to 3 devices simultaneously. The RAVPower 22000 portable charger has 22000mAh capacity and comes with two USB cables, lifetime warranty and soft carry pouch. Another advantage of this power bank is its affordable price. As one of the most durable external batteries available on the market, the Zendure A2 portable charger features premium build quality with a stylish ribbed surface and rounded edges. Measuring 9cm x 5cm x 2cm, the Zendure A2 is surprisingly lightweight and portable 6400mAh charger, with compact pocket-friendly design. The Zendure A2 is made with durable crush proof composite material and premium components, but yet it is small and light enough for most pockets. 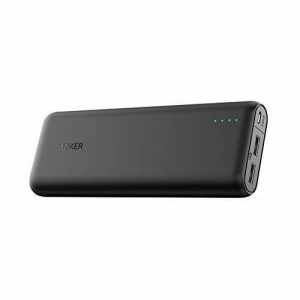 The PowerCore Speed 10000 QC is another excellent portable charger by Anker. Designed to ensure the fastest, optimum charging experience, the PowerCore Speed features advanced technology, 10,000mAh capacity and matt black rectangular design. It is an affordable, compact power bank that includes Quick Charge 3.0, PowerIQ technology and temperature control to deliver faster and safer charging experience. With build-in A-Class lithium ion batteries, the iMuto portable charger has 30000mAh capacity and provides safe use and fast charge. The iMuto 30000mAh portable charger features 3 USB charging ports, multiple smart protection system, iM-Power and smart Digi-Power technology that shows the remaining power in digital format. A power bank is simply a portable charger or device which is used for charging your mobile devices on the go. It is small enough to be carried inside your pocket and acts as the best back up for your PC tablets, mp3s, mp4s, smart phones, tablets, ipods etc. Charging with the help of a power bank is quite easy as you do not need to have any type of an electric outlet for the purpose. All you need is a USB cable which you can attach to your mobile device and the portable charger, and your mobile starts getting charged. Power bank has become one of the requisite mobile phone accessories nowadays. Prominent-screen smart phones, tablet PCs, notebook computers, digital cameras etc.,are increasingly equipped to do diverse functions, leading to more frequent use, especially in business activities or in traveling. 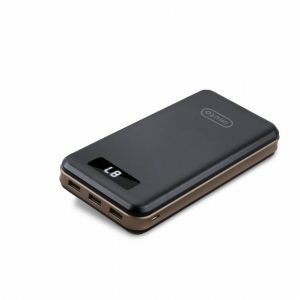 Portable Wireless chargers are becoming common these days, not because they are easily available, but because of easy charging facility that they provide. Whenever you buy a portable charger, make sure that it is of the best quality as you do not the batteries of your mobile devices to suffer in return. When you invest in a good quality charger, you can even connect more than one device to it as well and experience that the timing of the charging of the devices are not affected by it. It is advisable to use a higher output portable charger on a mobile device as otherwise heating and explosion of the battery may occur.